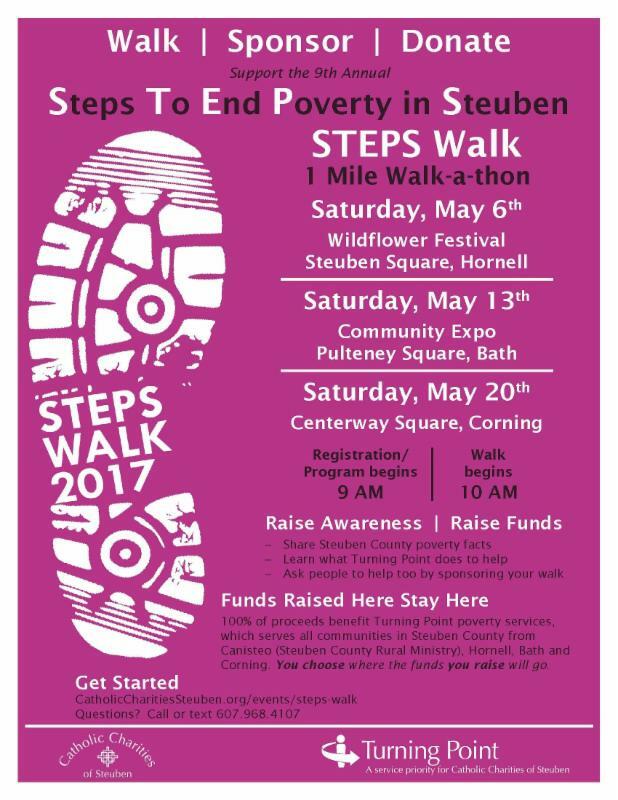 The community is invited to participate in the 9th annual STEPS Walk, which stands for Steps To End Poverty in Steuben. 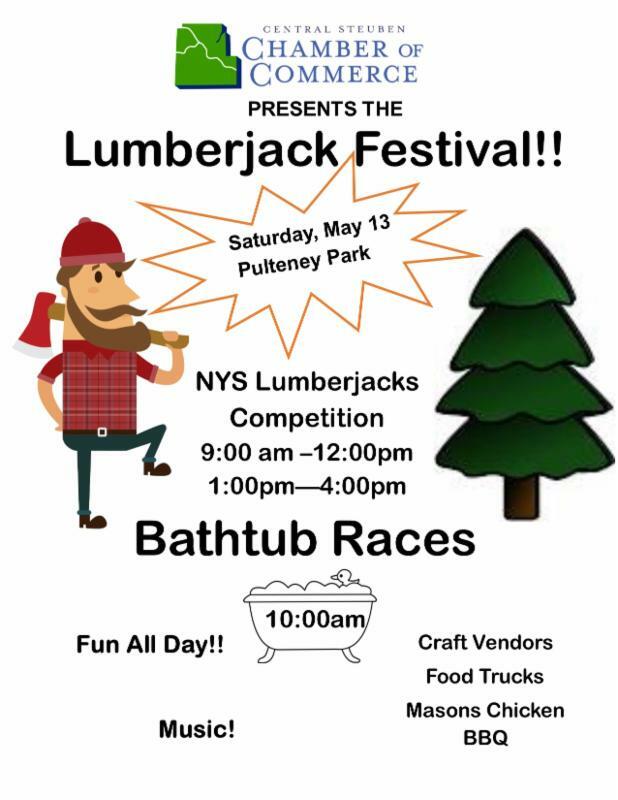 The one-mile Walk raises both awareness about poverty in Steuben County and funds for Turning Point poverty services that work to reduce poverty and promote self-sufficiency across Steuben County. Registration and our program begins at 9 a.m. The Walk itself begins at 10 a.m.
Walkers can raise both awareness and funds both online and in person. To get started online, please visit CatholicCharitiesSteuben.org/events/steps-walk and click on the STEPS Walk 2017 sneaker icon. This takes you to the STEPS Walk website where you can create or join a team or register as an individual walker. The STEPS Walk website is a powerful tool that allows you to raise both awareness and funds without having to beat the pavement - use social media and email to promote your efforts, accept online donations, track your progress, connect with teammates, and more! The Corning Information Center, 1 West Market Street, Corning, NY. 100% of the funds raised here stay here to directly benefit neighbors in your community. You choose the service area where you'd like your funds to go: Steuben County Rural Ministry in Canisteo, or Turning Point Hornell, Bath, or Corning. Turning Point operates at 7.5% overhead, meaning 92.5 cents on the dollar you raise goes directly toward helping those in need.